TYPE-MOON has opened up a new website in celebration of the 15th anniversary of Fate/stay night. The visual novel originally released on January 30, 2004 for PC and has since been ported to other consoles (PlayStation 2, PlayStation Vita). It has been adapted into many different types of media since its release. Most notable of these are the anime adaptations by Ufotable. The website contains messages from people who have worked with the series since its original release. This includes messages from Kinoko Nasu and Takashi Takeuchi, the writer and character designer of the original visual novel. Voice actors who have lent their voices to characters in the series such as Noriaki Sugiyama (voice of Shirou Emiya) and Ayako Kawasumi (voice of Saber/Altria Pendragon) also gave their own messages, complete with their autograph. Even those who have not necessarily worked on the series, such as FromSoftware’s Hidetaka Miyazaki and Persona 5 director Katsura Hashino, sent their own commentary on the series’ anniversary. Reki Kawahara, the writer of the Sword Art Online and Accel World series, sent his own separate message in the form of artwork featuring Alice and Saber. You can check that out below. In order to celebrate the 15th anniversary, TYPE-MOON will be holding a special exhibit at the Sony Music Roppongi Museum in Winter 2019. The exact date and time of the event has not been revealed at this time. A special 15th anniversary card will also be distributed at certain shops in Japan. These cards come with the Fate/stay night 15th anniversary key visual as well as special art and messages on the back. They will be distributed at Animate, Gamers, Sofmap and other hobby stores on February 17, 2019 while supplies last. You can take a look at a sample of the card below. 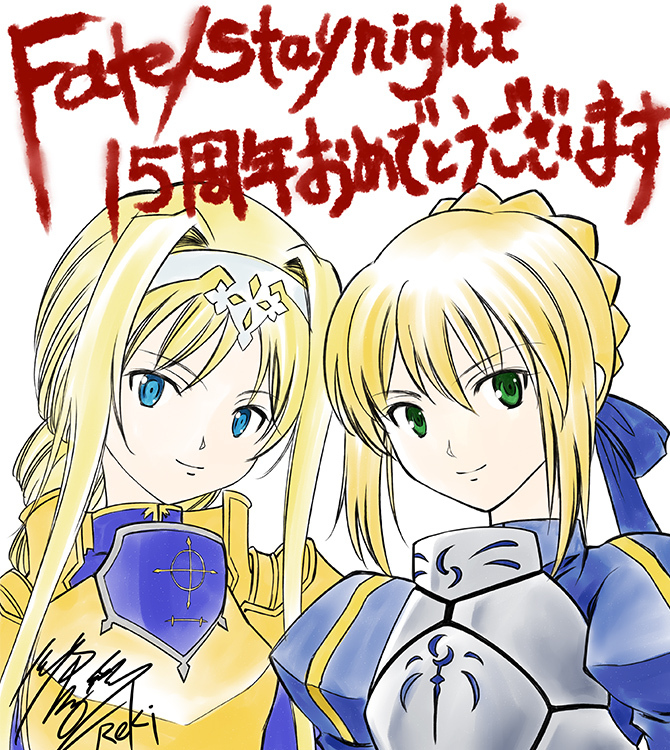 Fate/stay night originally released on January 30, 2004 for Windows PC. It has since been ported to PlayStation 2 and PlayStation Vita. 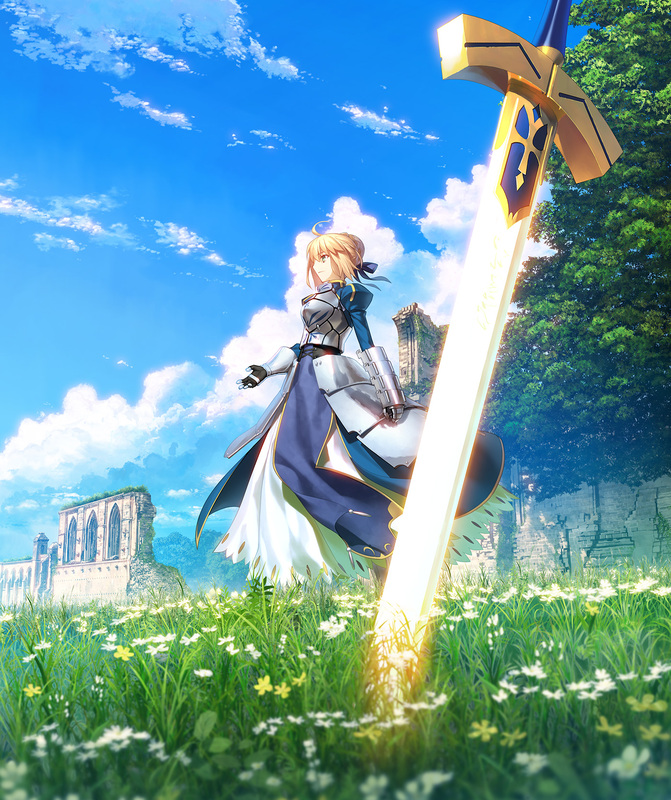 It has had numerous adaptations since then, including an anime TV series and film trilogy by Ufotable.